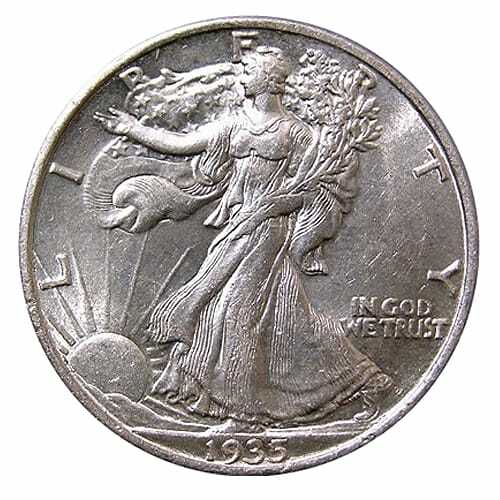 The Walking Liberty was a radical, yet lovely departure from the pre-existing coinage designed by Mint Engraver Charles E. Barber, which had been in circulation since 1892. Displaying a young woman striding across a field, Weinman’s Liberty was active, ebullient, sowing prosperity and potential from the stars that cascaded from her hand. On the reverse, an eagle is perched and prepared to take flight. The bird was so potent as to inspire awe in its singular focus. The change in design faced resistance from two sources. First, the staff of the Mint had recently been through a poor experience in the redesign of another coin, and thus were not motivated to take on this new assignment. Second, it did not help matters that Barber, the designer of the previous coinage, was essentially asked to oversee the termination of his own designs. He is documented as obstructing Weinman’s design, going so far as to completely rework it, change aspect ratios of the original design, and add decorative elements. 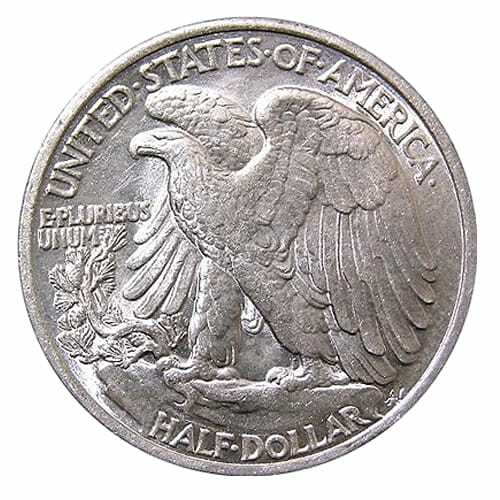 The Walking Liberty half dollar represents the beginning of a new tradition of high artistic merit in the design of U.S. Coinage. A student of Augustus Saint-Gaudens, a highly-regarded designer of coins, Weinman was able to better navigate the demands of the minting process, as well as the controlling personalities that often demanded a consistent reuse of styles, confusing them with technique. The coin stands as a testament to the art of minting and the minting of art. To learn more about the Walking Liberty Half Dollar coins and to get current pricing, please call us at (800)355-2116.